Nicki Minaj creates a new “Chun-Li” Snapchat filter and it instantly became a viral hit. Everyone is bumping Nicki Minaj new hit “Chun-Li” these days and it’s not just her female fans, so it makes sense she continues to milk it before her album arrives. The track is her biggest in the past few years and is currently sitting at number 28 on the Billboard Hot 100 chart and peaked at number ten. Been a while since Nicki actually had a solo top ten record. Sources close to the Trinidadian rapper told Urban Islandz this weekend that Nicki Minaj and her team created the SnapChat “Chun-Li” filter to help push the single. The song has been certified gold by the Recording Industry Association of America (RIAA) and is on it’s way to platinum certification after seeing an uptick in streaming. So perhaps the new marketing push is working. 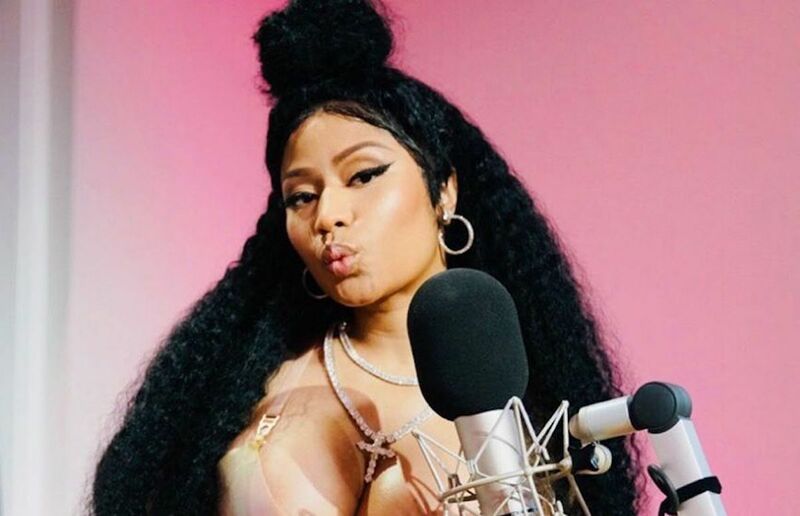 In between takes, Nicki hit up her studio to continue working on her oft-delayed new album “Queen” which is due out on August 10th. On Memorial Day Weekend, she was spotted in the studio with Future who praise the album calling it a classic. “This is my favorite album this sh*t is f***ing amazing the album is crazy,” Future said in a short clip posted by Nicki Minaj on the Gram. All her fans are already hyped up for her first album since her 2014 effort The PinkPrint. Click the link in my bio to use the #ChunLiSnapchatFILTER – it comes complete w/diff color buns, ? & ? hair ?. I used a black & white filter after I recorded. Here are some of her fans repping the “Chun-Li” Snapchat filter. Nicki Minaj creates a Snapchat filter with baby hair. Black girl magic. ?